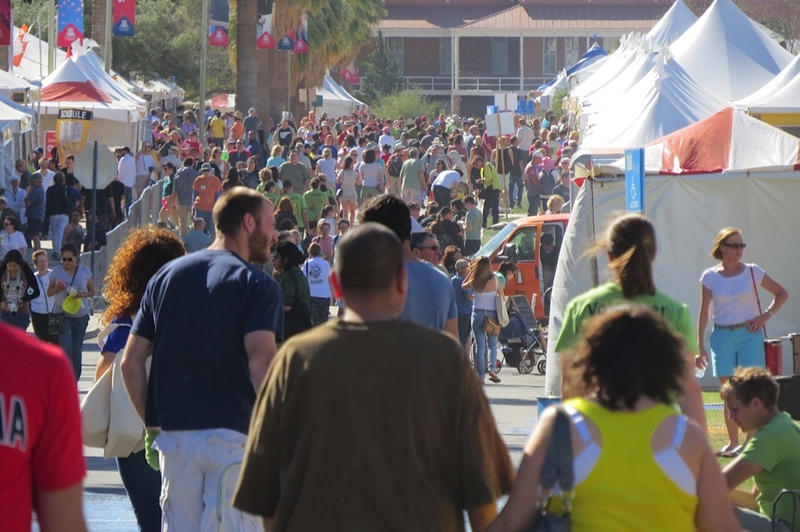 Recently, I attended the Tucson Festival of Books, and once again, it was an amazing group of 120,000 people celebrating literacy all over the campus of the University of Arizona. In the photo below, you can see a few of my new best friends. Below, I am posting a photo of a few of the approximately 1800 volunteers. 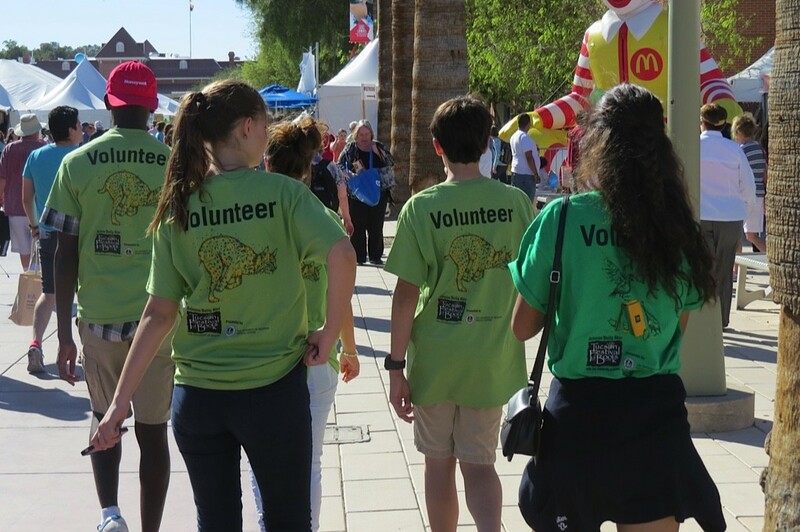 Tucson Festival of Books has only one paid employee. This is truly a community event. The first thing I found at Tucson Festival of Books was this sign. Next, I followed the directions of the sign and found this. 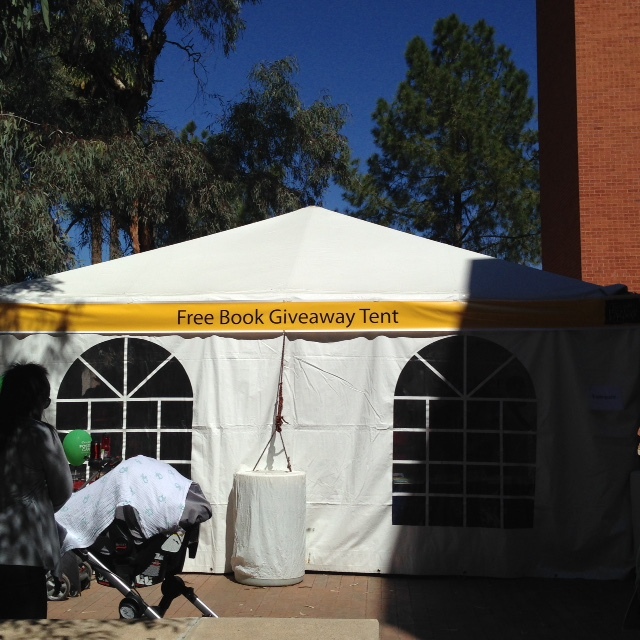 Who would ever imagine a tent full of new, beautiful books for kids? Thank you, Stocker Foundation. From the free books, I went right to WOW (World of Words) which is a huge collection of children’s and adolescent’s books from around the world. Lots of authors, who write for young people, were hanging out in the hallways of the College of Education. Jacqueline Woodson was a highlight for me, as were Jo Knowles and Katherine Patterson. Now, I’ll need to dig out my kids’ “Terabithia” and reread. Meeting and spending time with author, Sarah Bird, was a real treat. She and I will soon see each other again in Texas, where we will both be sharing our thoughts with librarians. More on that coming soon. J.A. Jance was at her best, and the crowd was very appreciative, as she told witty and even heart-wrenching stories. Our son, Bo, is an avid reader, so I always stalk C.J. Box for him. I did learn that Joe Pickett , the hero of Box books, is 46-years old. Apparently know one has known this factoid until the latest Box book. Who knew? 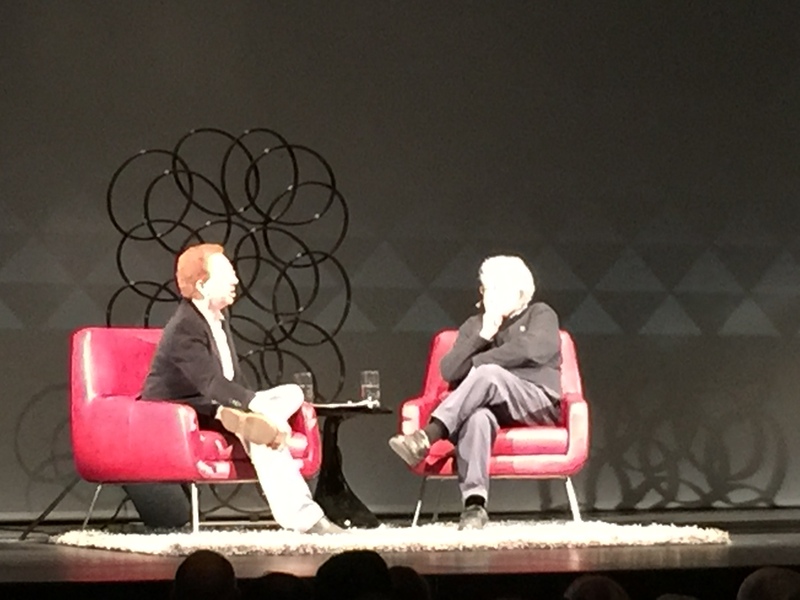 From CJ Box and JA Jance, I went right to Noam Chomsky, the internationally-esteemed linguist and philosopher. In my entire life, I had never heard him speak. He had just flown in from Argentina, and he still had the vigor of a young man, and the intellect of a mountain of men. 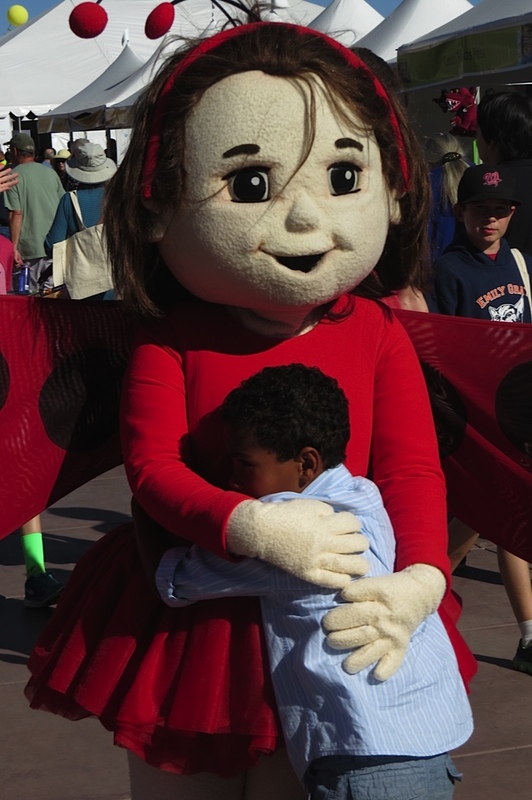 This little boy’s hug of “Lady Bug Girl” of captures the spirit of the book festival. 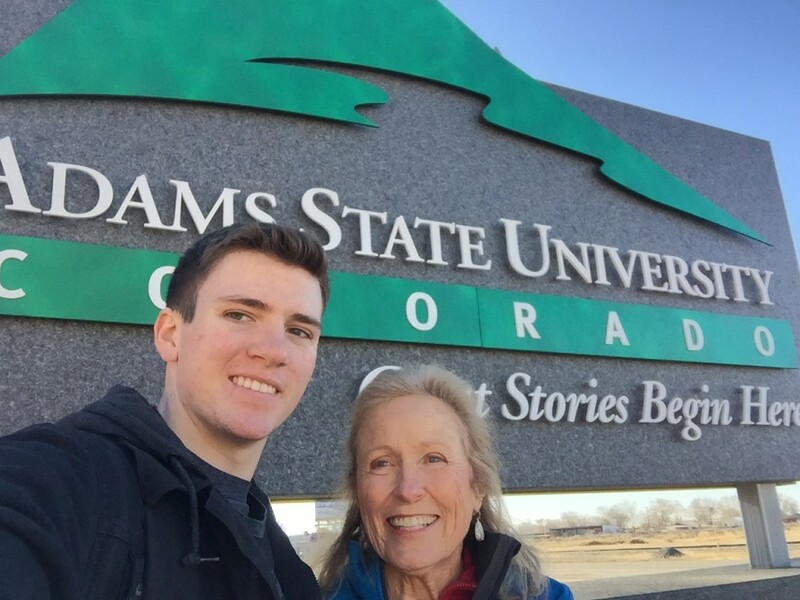 In addition, during this road trip I was able to visit Wyatt at Adams State, where I found him thriving in his new university home. #proudandhappygrammie. 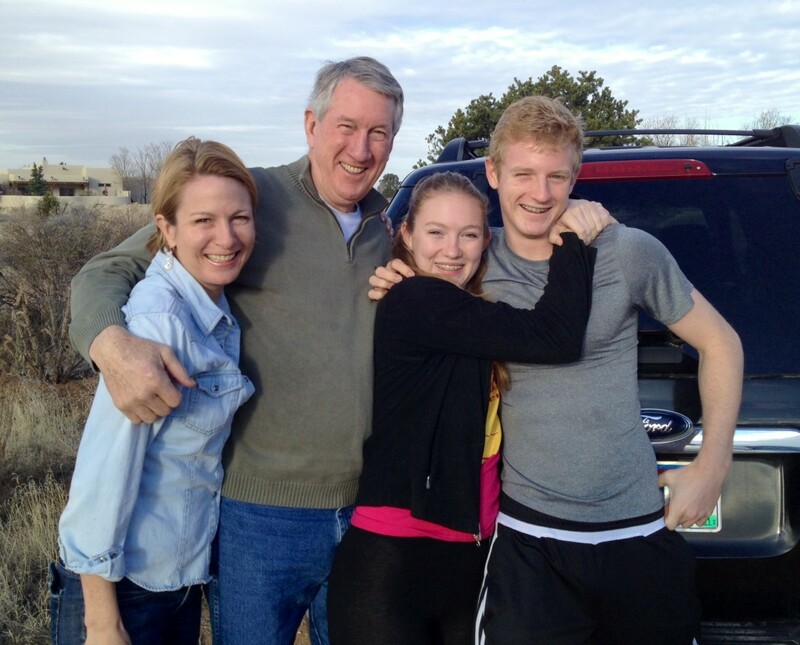 During the road trip, I met up 4 other Winks. It was a great trip. 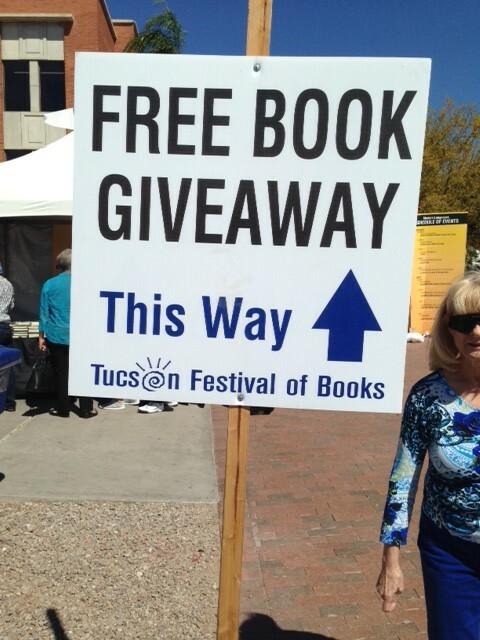 Thank you to Darryl Dobras for the photos from the Tucson Festival of Books. Wonderful Joan, love your sharing these stories. Someday I’m jumping in with you my friend!